Located near the North Dakota border, the 52-mile Agassiz Recreational Trail offers scenic views of the Sand Hill and Wild Rice rivers. The trail, running along an abandoned railroad grade, alternates through sparsely wooded stretches and iconic Minnesota farmland. This natural-surface trail is a multi-use trail. Please watch for hikers, bicyclists and horseback riders. Also keep an eye for abundant wildlife, such as deer, coyotes and squirrels. 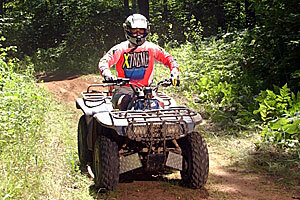 The trail is provided by Clay, Norman and Polk counties through the Agassiz Recreational Trail Board. In Fertile, along city streets. In Ulen, off Hwy. 32, north of Co. Rd. 34/Co. Rd. 16. Clay: David Overbo, 218-784-7126. Norman: Jerilyn Swenson, 218-784-7126. Polk: Richard Sanders, 218-470-8253.